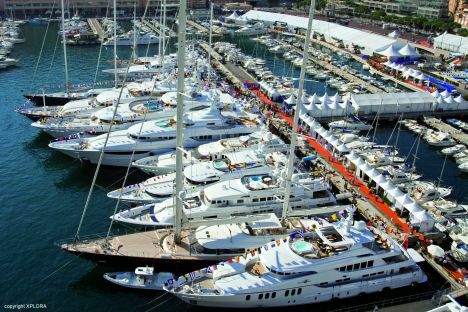 Facts indicate that Luc Pettavino's decision to organize and dedicate Monaco's Yacht Show exclusively to super yachts has paid off. This tiny sovereignty's yacht exhibition has in a short while asserted itself as the focal point of this nautical world, the only one in fact, capable of concentrating large and often enormous yachts together. As many as 95 boats this year were exhibited by 77 shipyards before a selected clientèle in the suggestive surroundings of Port d'Ercule with at least 60 of them measuring in between 40 and 90 metres in length. Entrance was on invitation or, by no means for everyone's pocket, at 50 euros. A whole world rotated around the boats, or rather, the super yachts; from simple tenders to all kinds of more complex engineering devices, for service or harbour use, from upholstery to engines and so on. In short from a screw to a helicopter. 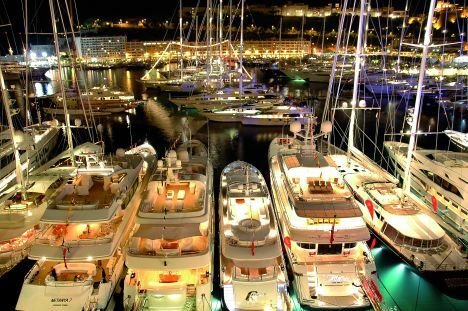 It must be said though that the venue in Monaco with its partying lavishness, whether liked or disliked, but also with its history of elite yachting, is probably the best setting to display these yachts which together with their technology, furnishings and price truly represent exclusiveness under every aspect. It should not have been of surprise therefore to see jewellers' and watch makers' stands or outstanding cars and other precious items on target with the type of customers that go for the yacht show. The 16th edition of the Monaco Yacht Show also drew to it, being so specialised, luxurious and technical, a host of people in the business such as surveyors, technicians, journalists, specialized magazines such as "Superyacht" which was, naturally, there too with its own stand, as well as designers, nautical architects and engineers. Many of the specialists were frequently visited in their own stands, where they portrayed their ideas and drawings giving their visitors a view of proposals, trends and solutions for yachts of the future.